Great chance to meet other young bridge players, or to learn the game for the first time! The whole weekend costs just £130 per junior, or £160 for accompanying adults including accommodation in twin rooms, all meals and of course all the bridge fun! These discounted early-bird rates are only available if booked before June 7th. Non-Residential places available at £75 for juniors, £90 for adults, including Dinner on Friday and Saturday and Lunch on Saturday and Sunday. 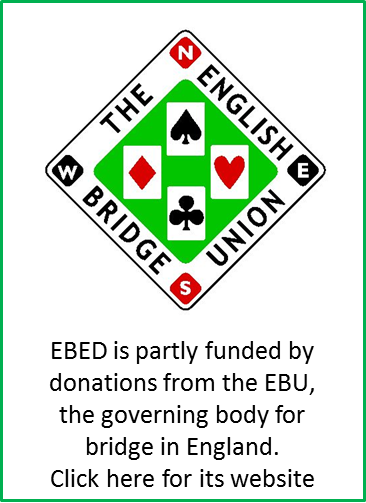 For more information, please e-mail david@ebedcio.org.uk. To book, use your MyEBU page or click here to go to our booking page.